The pre-eminent Australian novelist of his generation, Tim’s literary reputation was established early when his first novel, An Open Swimmer, won the 1981 Australian Vogel Award; his second novel Shallows won the Miles Franklin Award in 1984; and his third book, Scission, a collection of short stories, won the West Australian Council Literary Award in 1985. Tim’s novel Cloudstreet, the story of two working-class families rebuilding their lives was, and continues to be, a huge literary and commercial success. Its awards include National Book Council Banjo Award for Fiction, 1991; West Australian Fiction Award 1991; Deo Gloria Award (UK), 1991; and the 1992 Miles Franklin Award. Cloudstreet was adapted for the stage by Nick Enright and Justin Monjo and has played to sell-out houses around Australia and in Zurich, London, Dublin, New York and Washington. A mini-series based on the book, written by Tim Winton and Ellen Erwin, was released in 2011. Tim’s next novel was The Riders. Published in 1995, it was shortlisted for the prestigious Booker Prize and has been translated into numerous languages including French, German, Italian, Danish, Dutch, Polish, Greek and Hebrew. In 2001 Tim’s novel Dirt Music was published to considerable critical acclaim and impressive reviews. The book was shortlisted for the 2002 Man Booker Prize and won the 2002 Miles Franklin Award, the West Australian Fiction Award and the Christina Stead Award for Fiction. The Turning, a collection of stories, was published in 2004. It was shortlisted for the Frank O’Connor Short Story Award and in Australia won the Christina Stead Prize for Fiction, the Queensland Fiction Book Award and the Colin Roderick Award. The film was produced as 17 short films, with 17 different teams writing, directing and producing, including Cate Blanchett and Richard Roxburgh. Robert Connolly and Maggie Miles from Arenamedia were the producers. 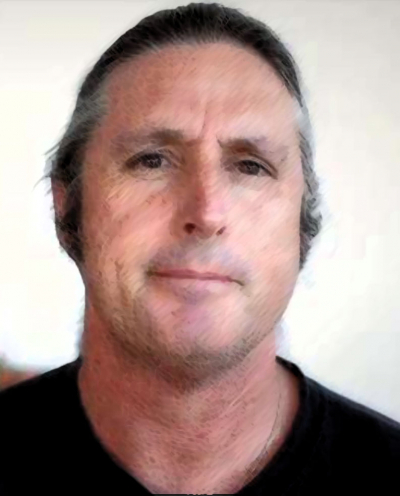 Tim Winton’s novel Breath won the 2009 Miles Franklin Award, making him the only Australian writer to have won this award four times. Breath was published by Penguin Group Australia in 2008 and went on to be published in USA, Canada, UK, the Netherlands, France, Germany, Italy, Brazil, Romania and Slovenia and other countries. Three original plays – Rising Water (2011), Signs of Life (2012) and Shrine (2013) – were produced by Black Swan State Theatre in Perth. Rising Water had a successful Melbourne season and Signs of Life played for six weeks at the Opera House in 2012. Tim’s new novel, Eyrie, was published in October 2013. Tim Winton is patron of the Tim Winton Award for Young Writers sponsored by the City of Subiaco, Western Australia. Active in the environmental movement in Australia, he was awarded the Centenary Medal for service to literature and the community. He is the Patron of the Australian Marine Conservation Society and the Stop the Toad Foundation. He lives in Western Australia.